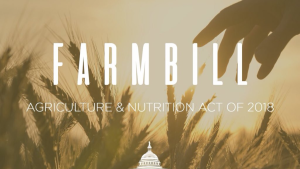 The 2018 Farm Bill Conference Committee will hold its first public meeting this week on Wednesday, September 5 at 9:30 am Eastern. The Farm Bill Conference Committee is composed of 56 members, including nine Senators and 47 Representatives. The hearing will be webcast live on ag.senate.gov. Faced with the lowest farm income in 12 years, the presidents of the American Farm Bureau Federation and National Farmers Union are asking Senate and House conferees to move quickly. AFBF and NFU, together with more than 150 other organizations, including Growth Energy and the National Biodiesel Board (NBB), sent a letter to the Senate and House Agriculture committees asking the farm bill conference committee to pass an on time, five-year farm bill before the September 30 expiration of the 2014 farm bill. In addition, NBB sent a separate letter to the committee leadership specifically asking for reauthorization and funding of the Bioenergy Program for Advanced Biofuels, the Biodiesel Education Program, and the National Oilheat Research Alliance. “Given the industry’s agricultural roots and benefits provided to U.S. farmers and rural communities, programs supporting biodiesel are an appropriate and important piece of the Farm Bill,” wrote Kurt Kovarik, vice president of federal affairs for NBB.